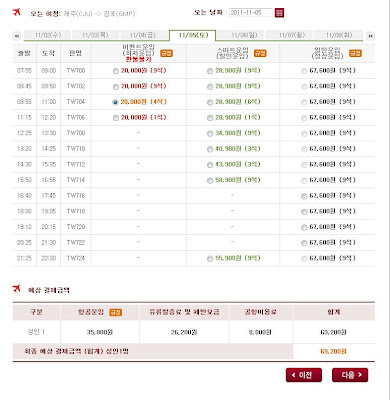 After becoming a member, let's book a flight ticket to Jeju Island! Follow the steps below. To become a T'Way Airlines member, check the post here. 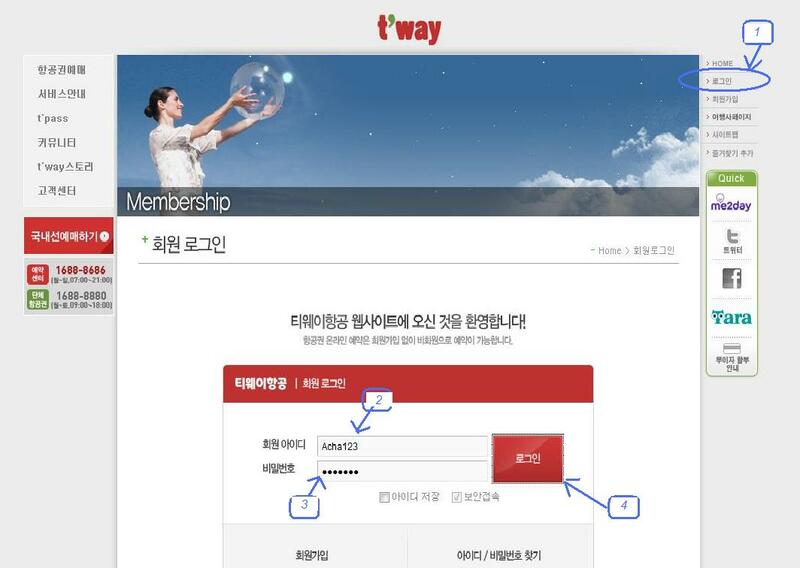 Click Login to go to the next page. 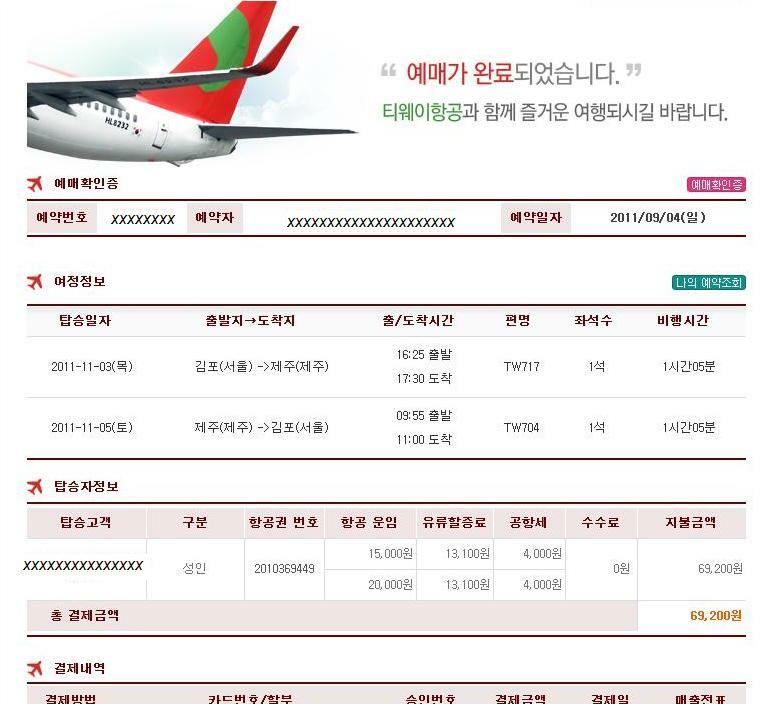 To book ticket to Jeju Island, please refer to the picture below. Choose the date that you want to go and how many people/children/infant that you want to book then press the button to go to the next page. As always, choose the cheapest according to your time and plan. 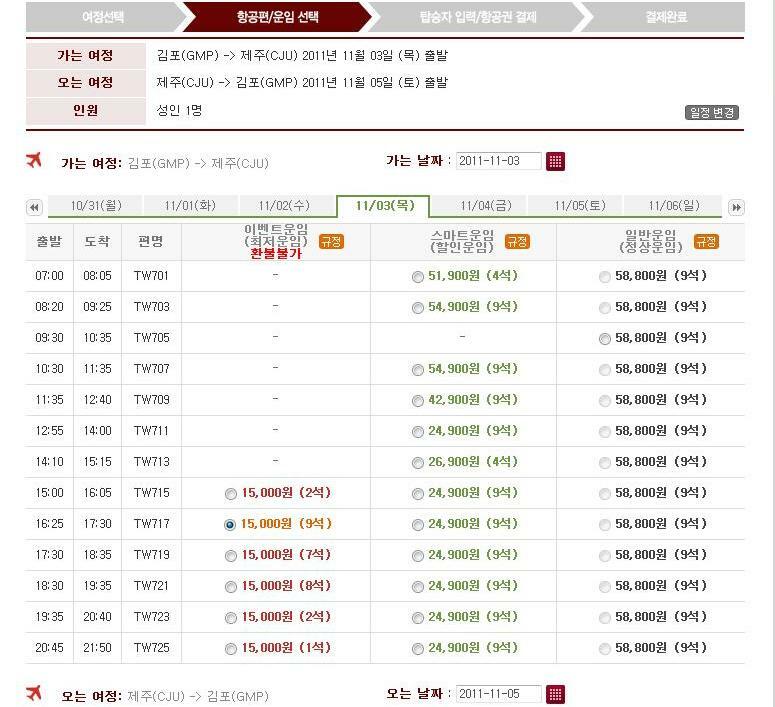 I have chosen the dates and time as above hence the total price is 69,200 won roughly for less than RM200. Then, press '다음' which means next. 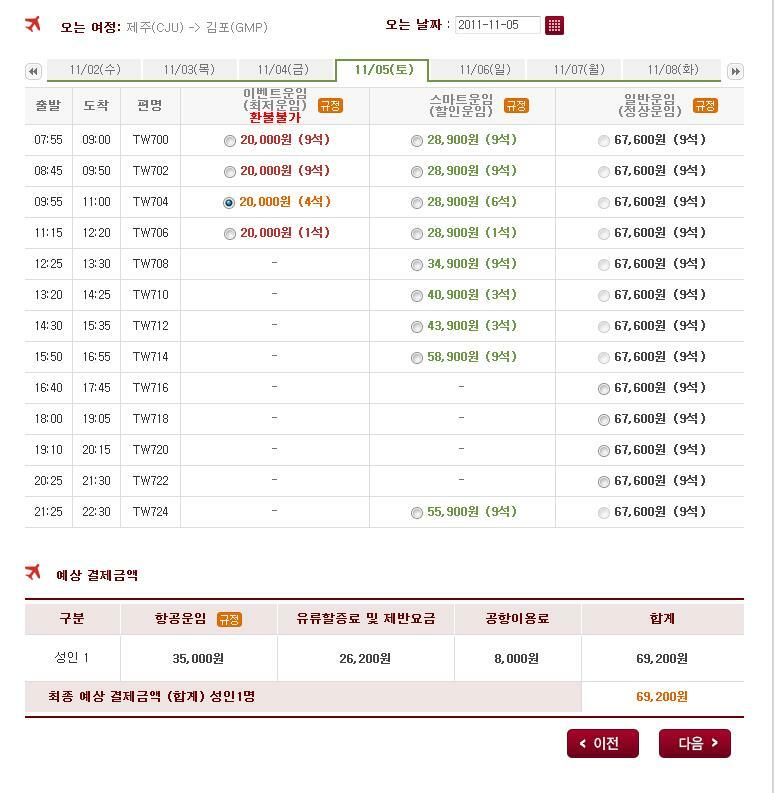 You will be prompted to confirm on '여정 운임규정' journey fare rules. 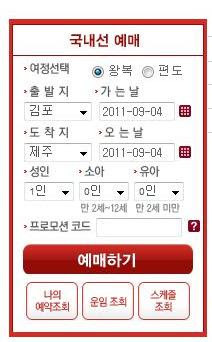 Tick the box and press the button '확인' for the next page. 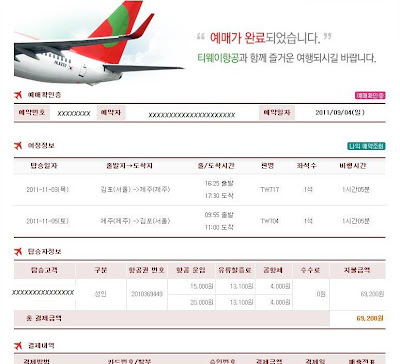 The details of your itinerary will be shown for your confirmation and the 'xxxxxxxxxxxx' are your details. 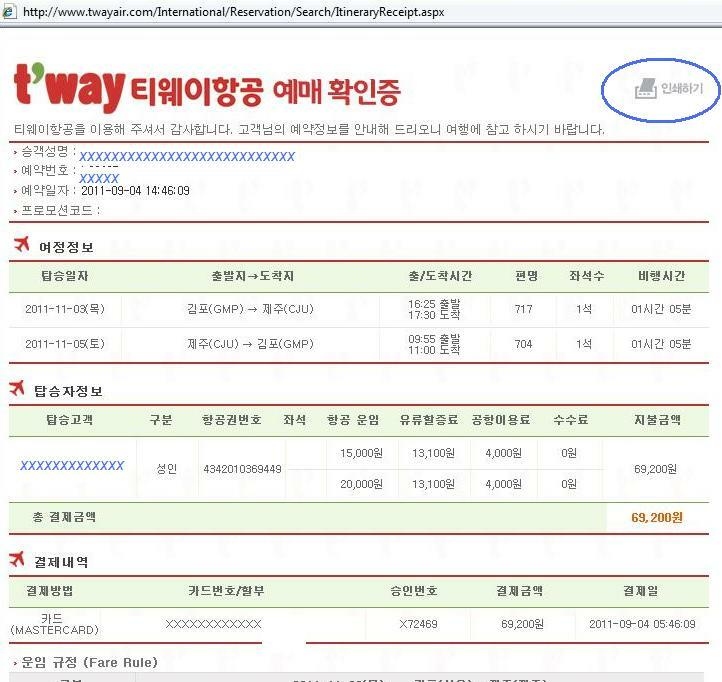 Press '입력완료' for input/details completion. Key in your details of payment. First, choose '해외카드' International card under '카드구분' section. 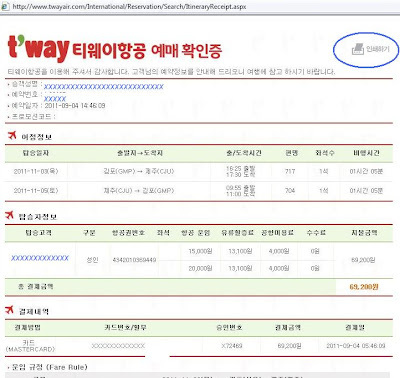 After that, press '결제하기' for payment. This is your booking details. 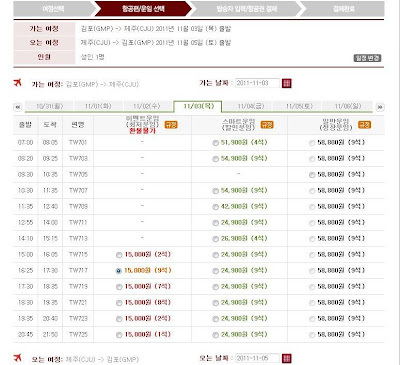 Click '예매 확인 증' which is highlighted in pink to print the booking confirmation. Click the 'printer' icon to print. 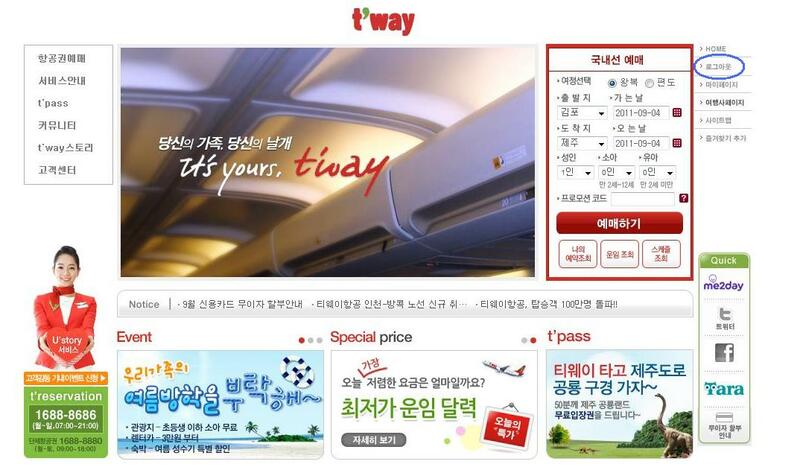 Good luck in booking a flight ticket to Jeju Island with T'Way Airlines! !